While Wisconsin is not home to big-name cities like Las Vegas, New York, or Hollywood—there are a few famous movies that have used its beautiful backdrop and buildings. Whether it’s a scene, a single building, or the entire film, do not be surprised when you catch wind of a Wisconsin filmed movie. The 2011 film is Wisconsin’s highest grossing movie appearance. Wisconsin was not the main setting of the entire movie but rather one of its most beautiful buildings made an appearance. 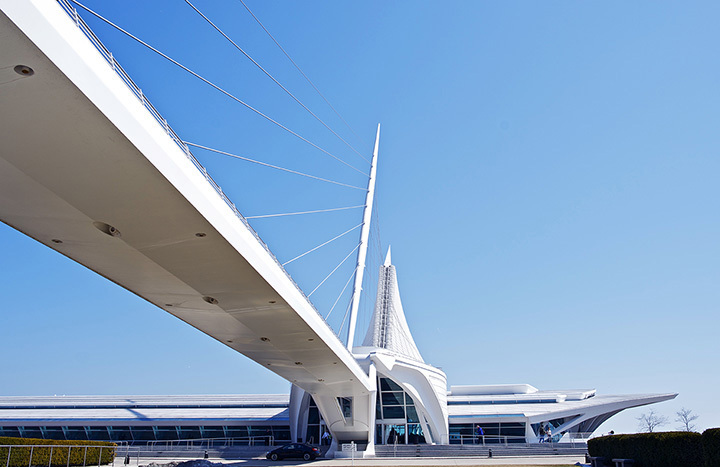 The Milwaukee Art Museum makes an appearance during the film when main characters Sam and Carly exit the building and hop into the notorious yellow Bumblebee. The 2011 hit comedy “Bridesmaids” not only mentions Wisconsin more than once but show scenes of the downtown area. For example, the scene of Annie’s work involving Cholodecki’s Jewelry Store was shot downtown along with shots of Milwaukee’s Public Market. Back tracking to 1975 is the famous film “The Giant Spider Invasion.” The story line is that giant 15-foot spiders from a different dimension invade northern Wisconsin. Unlike the rest of the movies on this list, “The Giant Spider” takes place entirely in Wisconsin. Featured settings include the University of Wisconsin Stevens Point, Nicolet College, Gleason, Lincoln County, and Merrill, Wisconsin. Famous Milwaukee Brewer baseball player Stan Ross a.k.a. Mr. 3000 finds out that post retirement he didn’t actually hit 3,000 home runs. At age 47, he re-enters the big leagues to finish what he’s started. Not surprising to baseball fanatics—Wisconsin’s famous Miller Park obviously makes the movie. This film starring Johnny Depp includes numerous Wisconsin shot locations. Towns like Oshkosh, Columbus, Beaver Dam, Milwaukee, and Madison were included during the filming of some very crucial scenes. A not so well-known film, “The Last Kiss” features a bunch of scenes in Wisconsin—Michael and Jenna’s home town, the drama/comedy flick was shot specifically at the University of Wisconsin Madison and surrounding Madison, Wisconsin areas. Another throwback for our list is a 1989 film, “Major League.” While most of the movie was filmed in Cleveland featuring the fictional Cleveland Indians baseball team, a lot of the movie was filmed in Wisconsin due to money constraints. The Milwaukee County Stadium doubles as their home field at Cleveland Stadium. While not that well known of a movie, “Meet the Applegates” is set in Ohio but most of the film was shot here in Wisconsin. The towns of Oshkosh and Neenah, Wisconsin, were responsible for the majority of the movie’s setting. Main character Joe Keegan is an exceptional stand-up comedian, but has yet to land any of his major audition he has take part in. Taking a break from the L.A. lights he attempts to find a breath of fresh air in Wisconsin. Both Green Bay and Marinette, Wisconsin, were featured in the 2005 comedy. View more Wisconsin Movie Theaters.